J. Bartoszewicz, P. Błażej, Robust estimation of the scale parameter based on spacings in a weighted exponential model Applicationes Mathematicae 34 (2007) 405-411. A. Bendikov, P. Maheux, Nash type inequalities for fractional powers of non-negative self-adjoint operators Transactions of the American Mathematical Society 359 (7) (2007) 3085-3097. A. Bendikov, T. Coulhon, L. Saloff-Coste, Ultracontractivity and embedding into L-infinity Mathematische Annalen 337 (4) (2007) 817-853. P. Biler, W.A. Woyczyński, General nonlocal diffusion-convection mean field models: nonexistence of global solutions Physica A - Statistical Mechanics and Its Applications 379 (2007) 523-533. M. Bożejko, M. Wodecki, On the theoretical properties of swap multimovesOperations Research Letters 35, No. 2 (2007) 227-231. M. Bożejko, Remarks on q-CCR relations for [q]>1, Noncommutative harmonic Analysis with Applications to Probability Banach Center Publications 78 (2007) 59-67. P. Borodulin-Nadzieja, Measures on minimally generated Boolean algebras Topology and Its Applications 154 (2007) 3107-3124. D. Buraczewski, T. Martinez, J. Torrea, Calderon-Zygmund operators associated to ultraspherical expansions Canadian Journal of Mathematics 59, No. 6 (2007) 1223-1244. D. Buraczewski, On behavior at infinity of invariant measures of stochastic recursions in a critical case Annals of Applied Probability 17 (4) (2007) 1245-1272. D. Buraczewski, On tails of stationary measures on a class of solvable groupsAnnales de L ' Institut Henri Poincare-Probabilites et Statistiques 43 (4) (2007) 417-440. D. Buraczewski, J.J. Betancor, J.C. Farina, T. Martinez, J. Torrea, On the Riesz transform associated to Hankel transformation Proceedings of the Royal Society of Edinburgh Section A - Mathematics 137 (4) (2007) 701-725. P. Błażej, Robust estimation of the scale and weighted distribution Applicationes Mathematicae 34,1 (2007) 29-38. [ ] P. Błażej, J. Bartoszewicz, Robust estimation of the scale parameter based on spacings in a weighted exponential model Applicationes Mathematicae 34 (2007) 405-411. B. Błaszczyszyn, B. Radunovic, M/D/1/1 loss system with interference and applications to transmit-only sensor networks Proc. of SpaSWiN 2007 (2007) . B. Błaszczyszyn, M.K. Karray, Performance evaluation of scalable congestion control schemes for elastic traffic in cellular networks Proceedings of IEEE Infocom 2007 (2007) . M. Czystołowski, W. Szczotka, Tightness of stationary waiting times in Heavy Traffic for GI/GI/1 queues with thick tails Probability and Mathematical Statistics 27.1 (2007) 109-123. A. Dąbrowski, Wartości typowe Matematyka w Szkole 26 (2007) 37-40. J. Dymara, D. Osajda, Boundaries of right - angled hyperbolic buildingsFundamenta Mathematicae 197 (2007) 123-165. J. Dymara, M.W. Davis, T. Januszkiewicz, B. Okun, Weighted L^2 - cohomology of Coxeter groups Geometry and Topology 11 (2007) 47-138. J. Dziubański, Hardy spaces for Laguerre expansions Constructive Approximation 27, No. 3 (2007) 269-287. K. Dębicki, M. Mandjes, M. van Uitert, A tandem queue with Levy input: a new representation of the downstream queue length Probability in the Engineering and Informational Sciences 21 (2007) 83-107. K. Dębicki, M. Mandjes, A note on large buffer asymptotics for generalized processor sharing queues with Gaussian inputs Queueing Systems 55, No. 4 (2007) 251-254. K. Dębicki, T. Dieker, T. Rolski, Quasi-product forms for Levy-driven fluid networksMathematics of Operations Research 32, No. 3 (2007) 629-647. M. Grech, Well- and better-quasi orderings in the lattice of varieties of commutative semigroups International Journal of Algebra and Computation 17, No.4 (2007) 869-879. P. Głowacki, The Melin calculus for general homogeneous groups Arkiv for Matematik 45 (2007) 31-48. A. Hoffmann, Matematyka, nasza niedostrzegalna kultura Matematyka 4 (2007) 247-249. A. Hoffmann, Od zbioru zadań do wydawnictwa Matematyka 6 (2007) 365-367. A. Iwanow, K. Majcher, Absolutely ubiquitous groups Algebra and Discrete Mathematics no. 3 (2007) 55-70. A. Iwanow, K. Majcher, Ages of expansion of omega-categorical structures structures Notre Dame Journal of Formal Logic 48, no. 3 (2007) 371-380. T. Januszkiewicz, J. Świątkowski, Filling invariants of systolic complexes and groups Geometry and Topology 11 (2007) 727-759. T. Januszkiewicz, M.W. Davis, I. Leary, The L^2 - cohomology of hyperplane complements Geometry Groups and Dynamics 1 (2007) 301-309. [ ] T. Januszkiewicz, M.W. Davis, J. Dymara, B. Okun, Weighted L^2 - cohomology of Coxeter groups Geometry and Topology 11 (2007) 47-138. Z.J. Jurek, Random integral representations for free-infinitely divisible and tempered stable distributions Statistics and Probability Letters 77 (2007) 417-425. I. Kopocińska, B. Kopociński, Zagadnienia Steinhausa o szacowaniu strat wojennych na podstawie analizy nekrologów prasowych Matematyka Stosowana 8 (2007) 155-160. [ ] B. Kopociński, I. Kopocińska, Zagadnienia Steinhausa o szacowaniu strat wojennych na podstawie analizy nekrologów prasowych Matematyka Stosowana 8 (2007) 155-160. P. Kowalski, A. Pillay, On algebraic $sigma- groups Transactions of the American Mathematical Society 59 (2007) 1325-1337. J. Kraszewski, W. Kowalska, M. Nowak, Matura 2007 - znów zmiany Matematyka 7 (2007) 400-407. J. Kraszewski, Pooliczyć każdy może Matematyka 6 (2007) 329. J. Kraszewski, Usunąć zbiór pusty Matematyka 6 (2007) 359. J. Kraszewski, Uzasadnij, że Matematyka 5 (2007) 268-269. J. Kraszewski, Z życia wzięte Matematyka 4 (2007) 206-208. K. Krupiński, C. Ealy, A. Pillay, Superrosy dependent groups having finitely satisfiable generics Annals of Pure and Applied Logic 151 (2007) 1-21. P. Krupski, Janusz Jerzy Charatonik 1934 - 2004 Topology Proceedings 30 (2007) . P. Krupski, Przestrzenie jednorodne I, Letnia Szkoła Algebry i Topologii Gliwice (2007) 11-32. P. Krupski, A. Samulewicz, Strongly countable dimensional compacta form the Hurewicz set Topology and Its Applications 154, no. 5 (2007) 996-1001. Y. Kryakin, A.G. Babenko, On approximation of step function by trigonometric polynomials in the integral metric Izv. Tul. Gos. Univ. Ser. Mat. Mekh. Inform. 12, no. 1 (2007) 27-56. Y. Kryakin, A.G. Babenko, Polynomial interpolation-orthogonal basis International Summer Math. Stechkin Workshop on Function Theory, Proceedings, Tula (2007) 22-39. A.D. Krystek, Ł.J. Wojakowski, Convolution associated with the free cosh-law QP-PQ: Quantum Probability and White Noise Analysis 20 (2007) 295-301. A.D. Krystek, Infinite divisibility for the conditionally free convolution Infinite Dimensional Analysis Quantum Probability and Related Topics 10 (2007) 499-522. R. Kulik, Bahadu-Kiefer Theory for sample quantiles of weakly dependent linear processes Bernoulli 13 (2007) 1071-1090. R. Kulik, C. Wichelhaus, Dependence in Lag for Markov chains on partially ordered state spaces with applications to degradable networks Stochastic Models 23 (2007) 683-696. 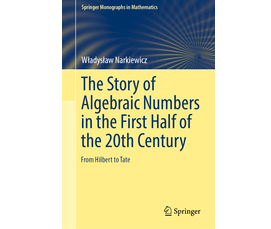 [ ] K. Majcher, A. Iwanow, Absolutely ubiquitous groups Algebra and Discrete Mathematics no. 3 (2007) 55-70. [ ] K. Majcher, A. Iwanow, Ages of expansion of omega-categorical structures structures Notre Dame Journal of Formal Logic 48, no. 3 (2007) 371-380. B. Majcher-Iwanow, Strong boundedness and algebraically closed groupsComment. Math. Univ. Carolin. 48 (2007) 205-209. M. Mikołajczyk, Ile jest rodzajów liczb wymiernych Magazyn Miłośników Matematyki 3 (2007) 10-13. M. Mikołajczyk, Kant i matematyka Magazyn Miłośników Matematyki 2 (2007) 10-14. M. Mikołajczyk, Magiczne kwadraty Magazyn Miłośników Matematyki 1 (2007) 20-23. M. Mikołajczyk, A. Morawiec, Mr MAT, Mały ilustrowany słownik terminów matematycznych, cz. L Geometric Meaning of Equations Matematyka 8 (2007) 509-510. M. Mikołajczyk, A. Morawiec, Mr MAT, Mały ilustrowany słownik terminów matematycznych, cz. LI Programming Matematyka 9 (2007) 573-574. M. Mikołajczyk, A. Morawiec, Mr MAT, Mały ilustrowany słownik terminów matematycznych, cz. LII Polynomials Matematyka 10 (2007) 637-638. M. Mikołajczyk, A. Morawiec, Mr MAT, Mały ilustrowany słownik terminów matematycznych, cz. XLIII Calculations with a calculator Matematyka 1 (2007) 61-62. M. Mikołajczyk, A. Morawiec, Mr MAT, Mały ilustrowany słownik terminów matematycznych, cz. XLIV Programming Matematyka 2 (2007) 125-126. M. Mikołajczyk, Mr MAT, Mały ilustrowany słownik terminów matematycznych, cz. XLIX Solving Systems of Linear Equations Matematyka 7 (2007) 445-446. M. Mikołajczyk, Mr MAT, Mały ilustrowany słownik terminów matematycznych, cz. XLV Algebraic expressions Matematyka 3 (2007) 189-190. M. Mikołajczyk, Mr MAT, Mały ilustrowany słownik terminów matematycznych, cz. XLVI Equations and inequalities Matematyka 4 (2007) 253-254. M. Mikołajczyk, Mr MAT, Mały ilustrowany słownik terminów matematycznych, cz. XLVII Methods of Solving Equations Matematyka 5 (2007) 317-318. M. Mikołajczyk, MR MAT, Mały ilustrowany słownik terminów matematycznych, cz. XLVIII Systems of Linear Equations Matematyka 6 (2007) 381-382. M. Mikołajczyk, Pytania (nieco) przewrotne. Działania Magazyn Miłośników Matematyki 3 (2007) 20. M. Mikołajczyk, J. Jaworski, K. Michałowska, Słynne liczby niewymierne Magazyn Miłośników Matematyki 3 (2007) 24-30. M. Mikołajczyk, Vademecum agenta Magazyn Miłośników Matematyki 4 (2007) 11-18. M. Mikołajczyk, Zrób sobie enigmę Magazyn Miłośników Matematyki 4 (2007) 19-22. M. Mikołajczyk, Zrób sobie gwiazdę Magazyn Miłośników Matematyki 1 (2007) 16-17. [ ] A. Morawiec, M. Mikołajczyk, Mr MAT, Mały ilustrowany słownik terminów matematycznych, cz. L Geometric Meaning of Equations Matematyka 8 (2007) 509-510. [ ] A. Morawiec, M. Mikołajczyk, Mr MAT, Mały ilustrowany słownik terminów matematycznych, cz. LI Programming Matematyka 9 (2007) 573-574. [ ] A. Morawiec, M. Mikołajczyk, Mr MAT, Mały ilustrowany słownik terminów matematycznych, cz. LII Polynomials Matematyka 10 (2007) 637-638. [ ] A. Morawiec, M. Mikołajczyk, Mr MAT, Mały ilustrowany słownik terminów matematycznych, cz. XLIII Calculations with a calculator Matematyka 1 (2007) 61-62. [ ] A. Morawiec, M. Mikołajczyk, Mr MAT, Mały ilustrowany słownik terminów matematycznych, cz. XLIV Programming Matematyka 2 (2007) 125-126. K. Musiał, N.D. Macheras, W. Strauss, Fubini type products for densities and liftings Journal of Theoretical Probability 20 (2007) 545-560. K. Musiał, N.D. Macheras, W. Strauss, Splitting of liftings in products of probability spaces II Jounal of Mathematical Analysis and Applications 335 (1) (2007) 213-224. W. Narkiewicz, Euclidean algorithm in small Abelian fields Functiones et Approximatio 37 (2007) 7-10. W. Narkiewicz, Nieparzyste liczby doskonałe Delta 12 (2007) 4. W. Narkiewicz, M. Jarden, On sums of units Monatshefte fur Mathematik 150 (2007) 327-332. W. Narkiewicz, Sosuu Teiri no Shinten Japoński przekład "Development of the Prime Number Theory" Japan (2007) . W. Narkiewicz, Teoria liczb w twórczości Eulera Wiadomości Matematyczne 43 (2007) . L. Newelski, Relative Vaught conjecture for some meager groups Notre Dame Journal of Formal Logic 48 (2007) 115-132. Z. Palmowski, A. Kyprianou, Distributional study of De Finetti ' s dividend problem for a general Levy insurance risk process Journal of Applied Probability 44(2) (2007) 428-443. Z. Palmowski, F. Avram, M. Pistorius, On the optimal dividend problem for a spectrally negative Levy process Annals of Applied Probability 44(2) (2007) 349-365. Z. Palmowski, A. Zwart, Tail asymptotics for the supremum of a regenerative process Journal of Applied Probability 44(2) (2007) 349-365. G. Plebanek, M. Dzamonja, On Efimov spaces and Radon measures Topology and Its Applications 154 (2007) 2063-2072. A. Raczyński, Weak $L^p$ solutions for a model of self-gravitating particles with an external potential Studia Mathematica 179 (3) (2007) 199-216. T. Rolski, D.J. Daley, R. Vesilo, Long-range dependence in a Cox process directed by a Markov renewal process Journal of Applied Mathematics and Decision Science Article ID 83852 (2007) 15. [ ] T. Rolski, T. Dieker, K. Dębicki, Quasi-product forms for Levy-driven fluid networksMathematics of Operations Research 32, No. 3 (2007) 629-647. [ ] W. Szczotka, M. Czystołowski, Tightness of stationary waiting times in Heavy Traffic for GI/GI/1 queues with thick tails Probability and Mathematical Statistics 27.1 (2007) 109-123. R. Szekli, Stochastic ordering for queueing networks Queueing networks: A fundamental approach (2007) 31. R. Szekli, H. Daduna, C. Malchin, Weak convergence limits for sojurn times in cyclic queues under heavy traffic conditions Schwerpunkt mathematische statistik und stochastische prozesse No. 2007-04 (2007) . R. Szwarc, Kaczmarz algorithm in Hilbert space and tight frames Applied And Computational Harmonic Analysis 22 (2007) 382-385. R. Szwarc, J. Obermaier, Nonnegative linearization for little q-Laguerre polynomials and Faber basis Journal of Computational and Applied Mathematics 199 (2007) 89-94. R. Szwarc, J. Obermaier, Orthogonal polynomials of discrete variable and boundedness of Dirichlet kernel Constructive Approximation 27 (2007) 1-13. R. Szwarc, Tadek Pytlik in my memories Colloquium Mathematicum 108 (2007) 1-6. P. Śniady, B. Collins, New scaling of Itzyskon-Zuber integrals Annales de L ' Institut Henri Poincare-Probabilites et Statistiques 43, no. 2 (2007) 139-146. P. Śniady, C. Moore, A. Russell, On the possibility of a quantum sieve algorithm for graph isomorphism: unconditional results STOC ' 07: Proceedings of the thirty - ninth annual ACM symposium on Theory of computing (2007) 536-545. P. Śniady, Permutations without long decreasing subsequences and random matrices Electronic Journal of Combinatorics 14(1) (2007) Artc. R.11. P. Śniady, J.A. Mingo, R. Speicher, Second Order Freenes and Fluctuations of Random Matrices: II. Unitary Random Matrices Advances in Mathematics 209 (1) (2007) 212-240. P. Śniady, B. Collins, J.A. Mingo, R. Speicher, Second Order Freeness and Fluctuations of Random Matrices, III. Higher order freenes and free cumulantsDocumenta Mathematica 12 (2007) 1-70. [ ] J. Świątkowski, T. Januszkiewicz, Filling invariants of systolic complexes and groupsGeometry and Topology 11 (2007) 727-759. R. Urban, On density modulo 1 of some expressions containing algebraic integersActa Arithmetica 127 (3) (2007) 217-229. R. Urban, Sequences of algebraic integers and density modulo J. Theor. Nombres Bordeaux 19(2) (2007) 759-766. R. Urban, J. Zienkiewicz, Weak type (1,1) estimates for a class of discrete rough maximal functions Mathematical Research Letters 14(2) (2007) 227-237. W. Więsław, Carl Friedrich Gauss (1777-1855) - mistrz spokojnej pracyMatematyka 6 (2007) 323-329. W. Więsław, Historia algebry w pigułce Matematyka 3 (2007) 138, 148. W. Więsław, Jan Śniadecki (1756-1830) - uczony, mąż stanu, patriotaAntiquitates Mathematicae 1 (2007) 173-197. W. Więsław, Matematyka Hoene-Wrońskiego i jego czasów Hoene-Wroński. Życie, matematyka i filozofia (2007) 1-17. W. Więsław, Matematyka polska epoki Oświecenia Warszawa (2007) 360. W. Więsław, Paolo Ruffini (1765-1822) - matematyk i lekarz Matematyka 3 (2007) 131-138. W. Więsław, Podręczniki arytmetyki i algebry w Polsce w XVIII wiekuMatematyka 10 (2007) 565-576. W. Więsław, Prace magisterskie z matematyki na Uniwersytecie Wileńskim w XIX wieku Kwartalnik Historii Nauki i Techniki 52, nr 3/4 (2007) 1-22. W. Więsław, Ułamki egipskie - uzupełnienie Matematyka 3 (2007) 142-143. [ ] Ł.J. Wojakowski, A.D. Krystek, Convolution associated with the free cosh-law QP-PQ: Quantum Probability and White Noise Analysis 20 (2007) 295-301. Ł.J. Wojakowski, Probability interpolating between free and booleanDissertationes Mathematicae (Rozprawy Matematyczne) 446 (2007) . A. Wojciechowska-Waszkiewicz, A. L. Cauchy (1789-1857) - ojciec nowoczesnej analizy Matematyka 1 (2007) 515-519. A. Wojciechowska-Waszkiewicz, Co jest liczbą Matematyka 4 (2007) 250. A. Wojciechowska-Waszkiewicz, Co z czego wynika Matematyka 5 (2007) 277. A. Wojciechowska-Waszkiewicz, Język próbnej matury Matematyka 1 (2007) 25. A. Wojciechowska-Waszkiewicz, Legendre - ostatni komentator EuklidesaMatematyka 2 (2007) 67-71. A. Wojciechowska-Waszkiewicz, O demokracji w matematyce Matematyka 4 (2007) 219. A. Wojciechowska-Waszkiewicz, Piątek, trzynastego Matematyka 2 (2007) 83-84. J. Wróblewski, A. Choudhry, Quartic Diophantine Chains Acta Arithmetica 128.4 (2007) 339-348. J. Wysoczański, Monotonic independence associated with partially ordered setsInfinite Dimensional Analysis Quantum Probability and Related Topics 10, No. 1 (2007) 17-41. M. Zakrzewski, Kula u nogi a kula u nogi Matematyka 1 (2007) 26-29. [ ] J. Zienkiewicz, R. Urban, Weak type (1,1) estimates for a class of discrete rough maximal functions Mathematical Research Letters 14(2) (2007) 227-237.